Tyson Fury will continue his comeback against Italy’s Francesco Pianeta at Windsor Park in Belfast this Saturday. Obviously, the former heavyweight champion is odds on favourite to win inside the distance. This post contains our Tyson Fury vs Francesco Pianeta betting preview with winning predictions, betting tips, best odds, bookie offers and no deposit free bets on this fight! Tyson Fury's record stands at an impressive 26 wins from 26 fights. After a two year absence, the Gipsy King fought Sefer Seferi in June and won by RTD in round four. The Gypsy King landed some early blows in that encounter, danced around the ring a little and then he wrapped up victory when his opponent retired early on. Fury is on a collision course with Anthony Joshua and Deontay Wilder as he seeks to become Heavyweight World Champion for the second time. Anyway, he needs another few fights to shake off the ring rust that he’ll have accumulated over the last three years or so. This fight will probably be not as farcical as Fury's comeback fight against Sefer Seferi. Pianeta is a significant step up from the Albanian, but Tyson remains the better fighter in all aspects of the game. The Germany-based heavyweight is at least natural to the weight, much bigger and stronger than Seferi, and a fighter with some experience against world class opposition. Anyway, with Deontay Wilder watching on at Windsor this weekend, we expect the Gypsy King will look to make short work of this fight. 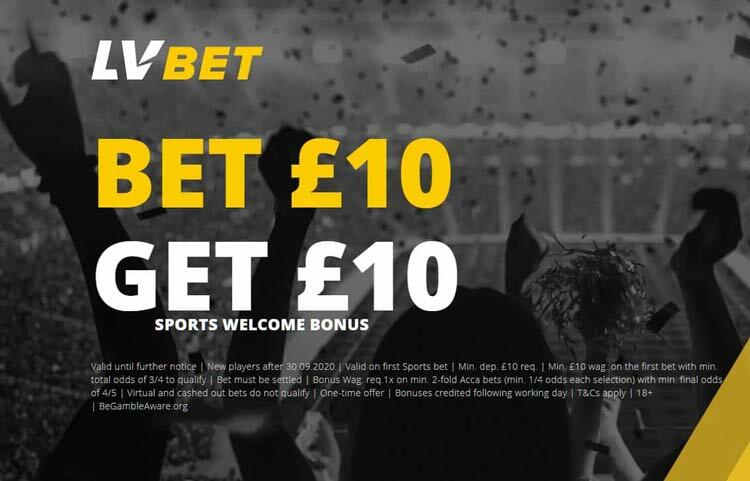 Deposit and Bet £10 to receive £50 in Free Sports Bets! Francesco Pianeta’s record currently stands at 35 wins, four defeats and one draw. The "Italian Ace" managed to win against Johann Duhaupas and Scott Gammer back in 2008, but also suffered losses to Kevin Johnson and Ruslan Chagaev. He has lost two of his last three bouts and will try to avoid an early KO. His last outing was a defeat to Petar Milas of Croatia. Clearly, Pianeta was chosen by Fury’s promoter, Frank Warren, because he’s good enough to give Fury some rounds but not really all that capable of defeating him. The Italian-born German has been stopped three times in his career, twice inside the first six rounds. He has also previously fought Wladimir Klitschko – Pianeta lost by TKO in round 6 in 2013 while Fury outpointed ‘Dr Steelhammer’ in 2015. If the 33-year-old southpaw wants to stay upright for as long as possible he may keep his distance. Don’t expect Pianeta to wow with his skill set or ability, but he’s a capable fighter at this level. Are you looking for the highest odds available on the fight winner market? This sections contains the highest prices on the Tyson Fury vs Francesco Pianeta bout! We recommend to claim best odds by clicking the yellow 'Bet' button. Wanna get exclusive price boost offers? Take a look at our Enhanced Bets page. Our professional boxing tipsters have carefully analysed all the relevant betting factors about this bout and each fighter. 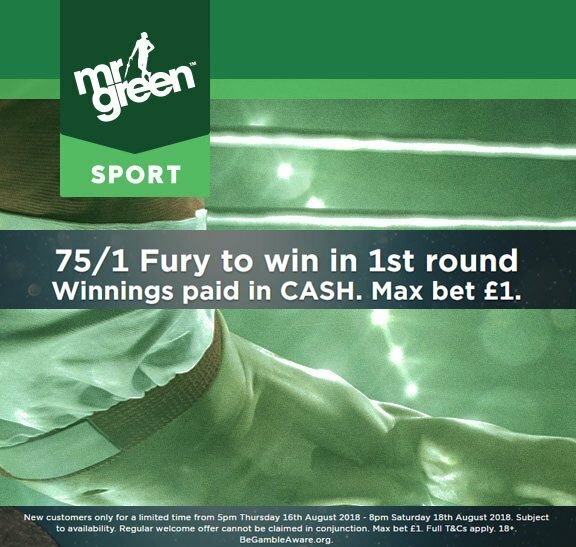 As a result, we provide the best recommended bets on the Fury vs Pianeta fight below. You back them as single bet or combine all of many of our betting tips by requesting your odds. Don't you know how to do it? Read our Paddy Power Same Game Multi's tutorial! Fight To Go The Distance? "Tyson Fury v Francesco Pianeta betting tips, predictions, odds and free bets (Boxing - 18.8.2018)"